Language learning involves two key items: Learning and memorization. One might argue hard against blind memorization and to some extent would be right. But let’s face it, certain aspects do call for blind memorization and there’s no wishing it away no matter how well you understand the concept. Take vocabulary for example. If mano means hand, mano means hand. There’s nothing to understand there. You’ve got to memorize it one way or another in order to be able to use it in a conversation. Memorizing isn’t fun. That’s what makes vocabulary the single biggest motivation-killer among rookie learners. Add to it the fact that there’s virtually an infinite amount of stuff to memorize! For example how many words would be enough? Looks like nothing short of the entire dictionary would do! That’s an impractically frustrating goal, isn’t it? And then there’s the challenge of retaining everything you memorized. Each word takes like a gazillion repetitions to drive home – only to conveniently sneak out of memory a few days down the line. I had a tough time dealing with words when I was a learner myself which is why I came up with the hacks I am going to discuss here. Like I said, memorizing the entire dictionary is not only impractical but also extremely wasteful. Why not learn only what’s necessary? You do realize that you don’t need every word there is in your day-to-day conversations, right? Wise men have done copious amount of research on this subject and given us something known as word-frequency list. These researchers have unanimously concluded that we only use a very small fraction of the entire lexicon for all practical purposes. The exact numbers vary from one language to another, of course. But the theory holds water in each case. In the case of Spanish, turns out, only 1,000 words contribute to over 80% of all written and spoken communications on a daily basis! That’s great news, isn’t it? Now you have a tangible goal. Memorizing 1,000 words certainly seems more doable than aimlessly memorizing everything there is. This is important because with a quantified goal, now you can estimate how much time it should take you to get from here to proficiency. You’re building a vocabulary, not your biceps. Reps are good for muscles, not for memory. The biggest drawback of rote rehearsal is its inefficiency. You spend hours, sometimes days, saying the stuff out aloud like a maniac – only to lose it in a few days. That amount of time could have been invested in so many more interesting things! The problem with rote memorization is that it’s so inorganic. You just repeat the word along with its meaning an insane number of times in an attempt to force your brain into accepting them as related. This is super clumsy. Since your brain doesn’t naturally see a connection between the words, you end up having to mentally translate the words every time you need to use them. And if you stop using the word for a while, your brain could even lose it completely, rendering your memorization efforts useless. So what’s the alternative? Make it organic. Make your brain see a natural relationship between the word and its meaning. That way you won’t need to translate while talking and you’ll sound more fluid. That way you also won’t forget the word if not used for a while. That way you’ll also save a ton of time otherwise wasted in aimless repetitions. How do you make it organic? Well, there are two easy ways I can come up with: Etymology and word-association. Both are memory hacks anyone could employ without a lot of preparation. Spanish comes from Latin. And Latin has a massive influence on English despite the latter being a Germanic tongue. What this means is that a whole bunch of Spanish words share a common heritage with their English counterparts. This is good news because we can exploit this to our advantage. Languages evolve. Words distort over time. But despite the change, many words stay close enough to their roots to still appear related to their cousins in another language. This can help us make word-associations. Rote rehearsal involves forcing your brain into accepting a relationship between a foreign word and its meaning. Since it’s forced, it fails. With etymology, we simply help our brain see a natural relationship between the words. Take, for example, the word casa. That’s Spanish for house. You might find it hard to see any relationship between the two words. But let’s dig into its history. Casa comes directly from Latin. While the original Latin word entered Spanish without any modification, it also entered English with some corruption over time. Latin casa entered English as words like case and casino! A case houses stuff; a casa houses people. See the similarity? Doesn’t casa suddenly look familiar now? This is how you memorize foreign words without a single minute of rote rehearsal – using etymology. Not all words have a history good enough for our purposes. Let’s not forget that English is still inherently a Germanic tongue which means not all words are going to have a Latin heritage. Besides, even words with Latin origins might not qualify for an etymology hack at times, especially if it has corrupted beyond recognition. Those are situations ripe for mnemonics. You can call this trick anything from visualization to word-association and from mnemonics to bridge-technique. All it involves is creating a mental bridge between the foreign word and its meaning in order to spoof a connection. This is just to fool your brain into seeing an organic connection between the two. Take, for example, the word ojo. That’s Spanish for eye. Now, ojo doesn’t look anything like eye and the two words don’t even have a common family tree. So, instead of etymology, we bank on our creativity. We make ojo look like eye to our brain with a little imagination. Look at the Spanish word again. Dwell on it for a while. Doesn’t it look like an owl with two eyes and a beak? Picture the two o’s as the two large eyes of that owl and the j as its beak! 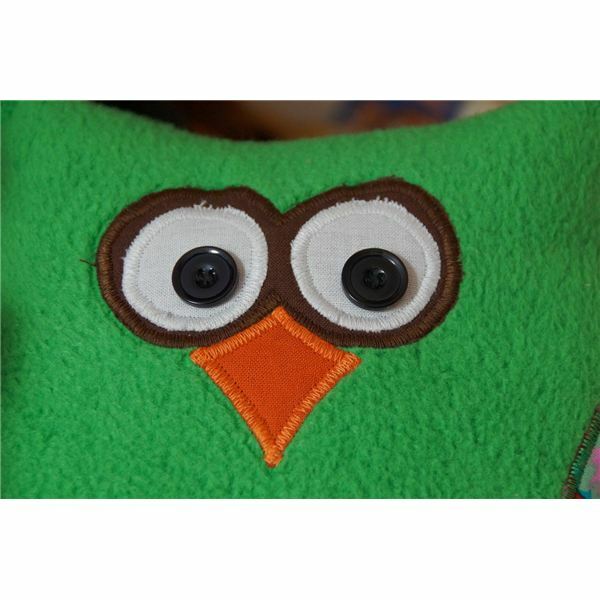 Now every time you think eye, you’ll picture this owl and that will lead you to ojo. Of course, this was a very easy example; but the idea can be applied to any word regardless of how complex it appears. I have used it even with words like cempasúchil! Here’s another example to illustrate the trick: Mujer, Spanish for woman. Mujer looks and sounds a little like music. It also kind of rhymes with teacher. Let’s combine the two. Imagine having a woman as your music teacher at school. Make your imagination as vivid as possible. Give her a character, a personality. Maybe she’s super sweet and kind? She is very old? She sings like a bird? She can play like 6 different instruments? The more details you put in, the easier she will be to recall. Now every time you think woman, you’ll recall this music teacher who will lead you to mujer. Mujer also rhymes with hair, so you can give your imaginary music teacher a distinct hairdo to reinforce the connection. So, vocabulary building is not as monotonous and dead-beat as it seems, after all. All it takes is a little out-of-the-box thinking. You could memorize new words literally in a blink if you have the right connections made for you. Word frequency: Only memorize what you need. 1,000 words are more than sufficient in Spanish for most practical purposes. Etymology: English and Spanish share a lot of history in Latin and many Spanish words can be linked to their English counterpart using etymology despite appearing unrelated at first. Use this to your advantage, making alien-looking words more familiar. Word association: Any two words, no matter how disjoint, can be synthetically bridged with a little ingenuity and imagination. Think of words and ideas that seem to bridge the two words and work your way from there. If using imagination, make it as vivid and detailed as possible, maybe wacky even. This will help the image stand out and stay in memory longer. Let’s face it, learning a new language is not easy. It takes a lot of perseverance and will-power. But with these tricks, vocabulary should no longer be one of your issues. And that’s a big relief, isn’t it? About the Author: Amit Schandillia is a Spanish language evangelist, blogger, and author from India. He has also authored a 1,400-page ebook on using homebrew memory hacks to memorize more than 2,000 most important words in Spanish. He writes at PeppyBurro where continues to help independent language-learners with his expertise.